A Disney Surprise for Christmas - Pixie & Pirate Destinations *|* Wishes become memories. One dream at a time. 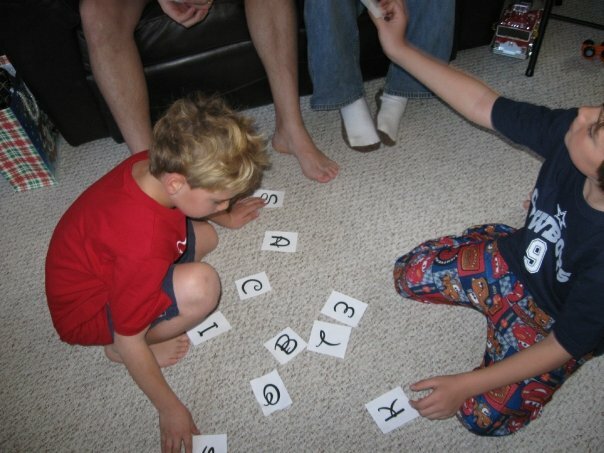 On Christmas morning 2008 my husband and I surprised our boys with a big gift that will be in our memories forever. We gave them a magical Disney Cruise! But because I am a sucker for Disney surprises, giving a cruise as their gift was no easy feat. First of all, we started planning early and actually booked the cruise in December 2007. Guess who had to keep a BIG Disney secret for over a year? Me! I cannot count the number of times I wanted to share the secret or how many times I almost slipped up and spilled the beans. And to top it all off, my in-laws were cruising with us so they knew all about the surprise too. While I love my mother-in-law a lot, she is not exactly the quietest, most secretive person you've ever met. So there were many close calls with her almost letting the secret out too. 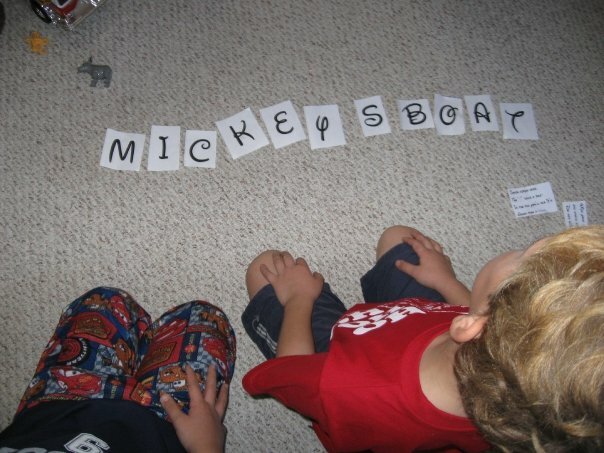 The words they spelled with their secret letters were not always nice and Disney like, but eventually they figured it out and "Mickey's Boat" was revealed. And for the very last step my husband handed them the final paper that announced we would be cruising with Mickey! While Disney surprises are not for everyone, this was a lot of fun for my family. 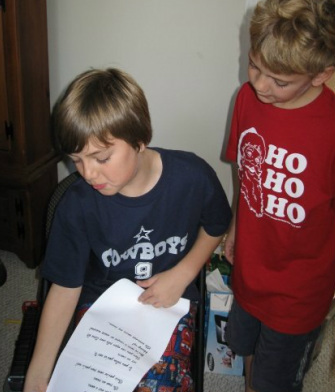 My boys were super excited and very surprised to receive such a nice gift for Christmas. Even though I had to keep my mouth zipped for over 365 days... I would not have changed a thing about it! We went on to cruise in February (about 45 days after Christmas) and it was the best vacation we'd taken up until that point. 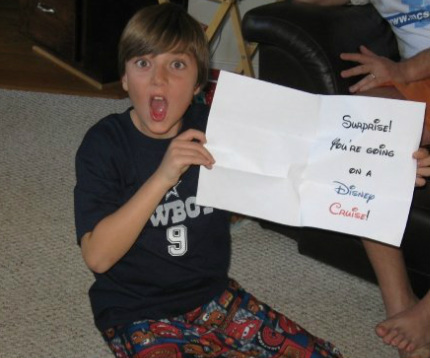 Once the kids opened all of their gifts from Santa that morning I gave them the first "clue" to their Disney Cruise gift. The clue sent them on their way to a treasure hunt that would lead to more and more clues - and each clue also had a letter attached. After at least an hour of searching and gathering clues they found a scroll. The scroll stated that they needed to use the letters they'd found to spell a phrase that would reveal their big surprise.